We have been studying the prophetic Parable of the Wise & Foolish Virgins…Matt. 23:1-13. I know this is a long blog series, but the Bible has so much to reveal regarding how to be truly prepared for the return of Jesus Christ, and stand before Him on that Day to have our works judged – the house we built on the foundation of salvation. When we were last together I asked, “What happens to the foolish virgins (Christians)? The Apostle Paul said, regarding the house (works) we build on the foundation of salvation…if anyone’s work which he has built on it endures, he will receive a reward…if anyone’s work is burned, he will suffer loss, but he himself will be saved, yet so as through fire…I Cor. 3:14-15. This script is very clear – no interpretation needed. There are ten virgins in this parable – ten born again Christians. 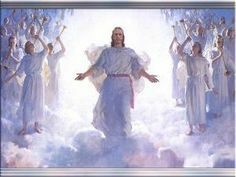 The five Christians – who were prepared – whose houses didn’t burn up at the Judgment Seat of Christ, will receive the reward Jesus brings with Him – the Wedding Garment – Robe of Righteousness. This garment allows entrance into the Wedding Hall – Holy of Holies. The five Christians – who weren’t prepared -whose houses burned up at the Judgment Seat of Christ, were received into Heaven, because they accepted Jesus as their Savior – they were born again…John 3:3. But, they will suffer loss. While on the earth they spent little time getting to know their Savior intimately, who could reveal issues in their hearts that needed to change, so the oil in their lamps grew dim. They were busy enjoying worldly pleasures, which means they built their house from wood, hay, and stubble, so it burned up at the Judgment Seat of Christ. When the Bridegroom arrives, the five wise Christians were welcomed into the Wedding Hall – Holy of Holies – to participate in the Marriage of the Lamb…Rev. 19:7. The five foolish Christians were left on the outside of the Wedding Hall saying…Lord, Lord, open to us. Jesus said in the last verse of the Parable of the Wedding Feast…many are called, but few are chosen. This means that many Christians have been invited into the Wedding Hall, but few will be prepared to enter…Matt. 22:11-12. Very sobering thought. What is the reward the five wise Christians will receive on that Day? To her (wise Christian) it was granted to be arrayed in fine linen, clean and bright, for the fine linen is the righteous acts of the saints…blessed are those who are called to the marriage supper of the Lamb…Rev. 19:8-9. The reward Jesus gives to His wife on that Day is the Wedding Garment – fine linen, clean & bright made from her righteous acts. Because she is wearing the Robe of Righteousness (Wedding Garment), she is invited to participate in the marriage supper of the Lamb in the Holy of Holies – Wedding Hall. What is the loss that the five foolish Christians will suffer? In the Parable of the Wedding Feast Jesus clearly explains in verse 13…then the king (God) said to his servants…bind him (them) hand and foot, take him (them) away, and cast him (them) into outer darkness; there will be weeping and gnashing of teeth. In blog #14 of this series I described in depth, a place called Outer Darkness. It is a metaphor describing a place on the exterior of Heaven, on the outside of the Holy of Holies – Wedding Hall. It does not describe the darkness of night as we understand on the earth, because in Heaven there is only light. John said…the city had no need of sun or of the moon to shine in it, for the glory of God illumined it. The Lamb is its light…Rev. 21:23. Jesus the Son is the light of Heaven. The darkness in a place named Outer Darkness, describes the great loss that will be experienced by those who are not allowed to enter the Wedding Hall. When they find out they were unprepared to receive the reward that Jesus brings with Him – Wedding Garment – there will be weeping and gnashing of teeth – great sorrow, grief, pain & rage – sobbing and wailing – because now it is too late to build a house for the Lord! They will still enjoy many blessings of Heaven, and the Lord loves them very much for accepting His blood sacrifice for their sins, nonetheless, they will experience profound loss for not being ready for His return – illustrated by the five foolish virgins. If we find all of the prophetic parables of Jesus, place them in consecutive order, which I have tried to do in this series, we will find a clear explanation of what happens at the end of the world to all people, saved or unsaved, when they stand before Jesus at the Great White Throne judgment and all the books are opened…Rev. 20:11-15. Are you truly prepared for the return of Jesus Christ – to have the house you built on His foundation of salvation judged? He is ready to come – are you ready to receive His reward?